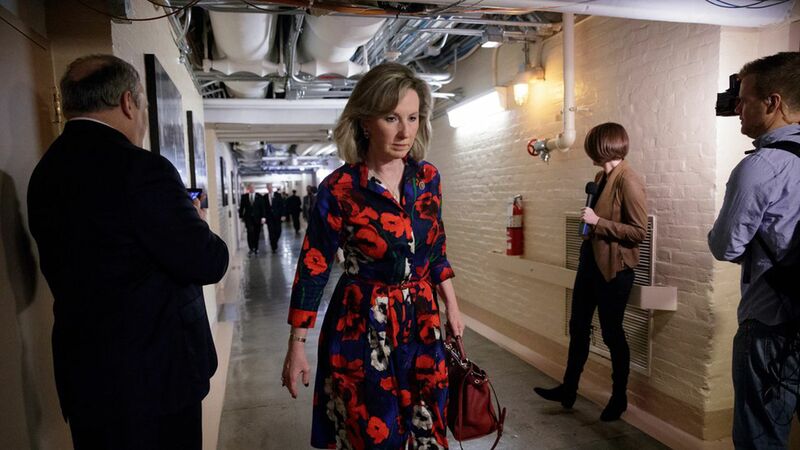 Rep. Barbara Comstock told the House Administration Committee on Tuesday of a congressional staffer who quit her job after a lawmaker exposed himself to her at his home one night. "This is about a member who's here now, I don't know who it is, but somebody who I trust told me this situation....but that kind of situation, what are we doing here for women right now who are dealing with somebody like that?" Rep. Jackie Speier told the committee on Tuesday that she knows of two current members, Republican and Democrat, who were involved in sexual harassment. On MSNBC, Speier said she couldn't say much more about those two members because of non-disclosure agreements the victims had to sign: "This process is all about protecting the harasser."